← Vintage Student Desk – This One Has an Inkwell! 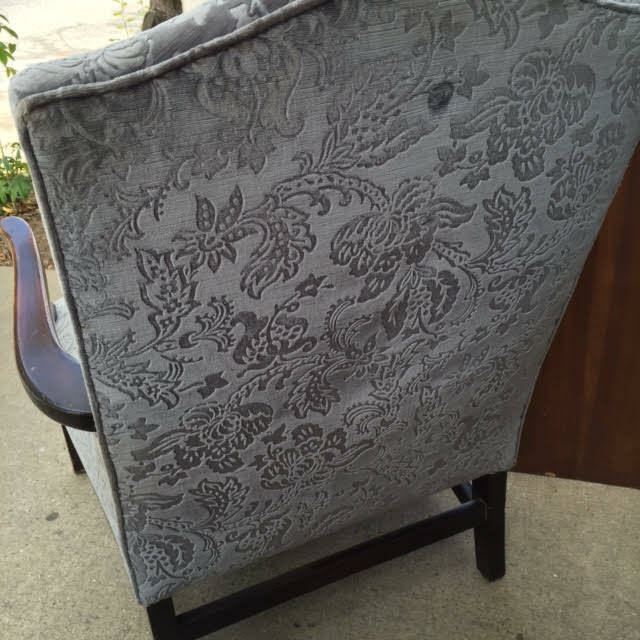 This vintage side chair was upholstered in a nice velveteen fabric. 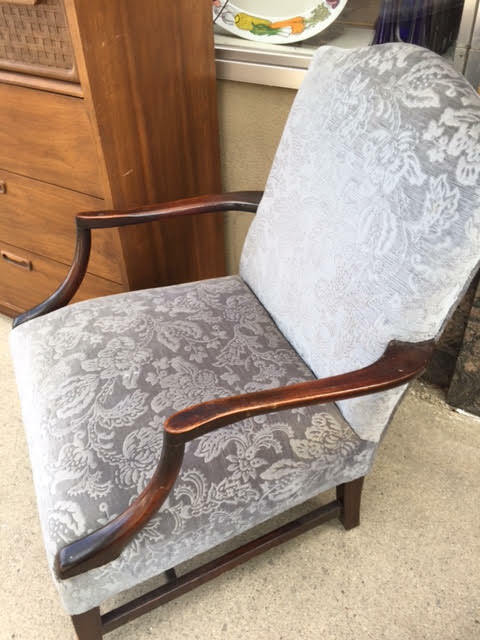 Comfortable and attractive, it would make a great accent piece for your farmhouse or other classic decor. 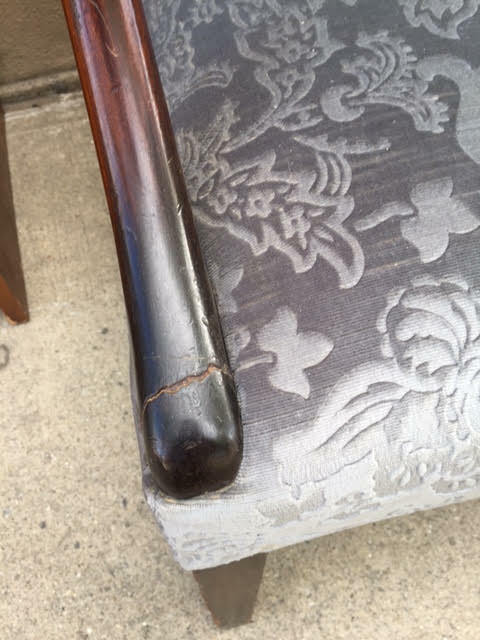 Condition: Good; reasonably sturdy. 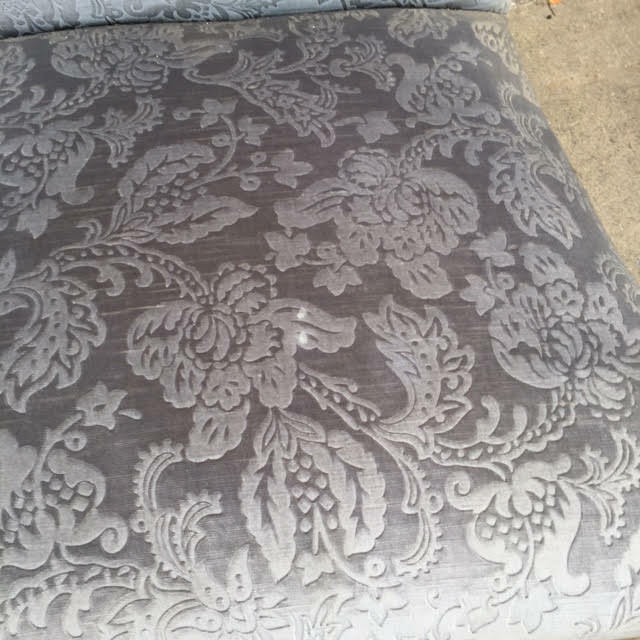 The chair’s left arm (as you face it) has been repaired near the seat cushion, and there are a couple of light spots in the fabric. (They look almost like drops of bleach might have spilled.) And there’s a dark spot on the back that seems oddly out of place but doesn’t appear to be any kind of damage. 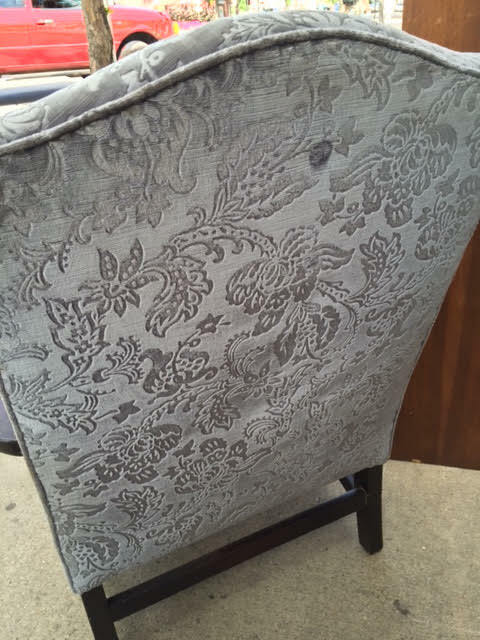 Perhaps the fabric used to upholster the chair was irregular to begin with? 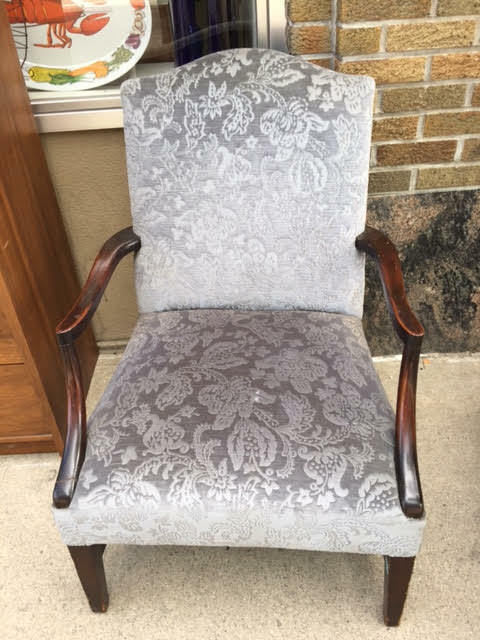 Dimensions: 37″H (the peak of the chair’s back) x 26″W (arm to arm) x 28″D. Price: $35.00 (was $45.00) plus 5.5% State of Maine Sales Tax. 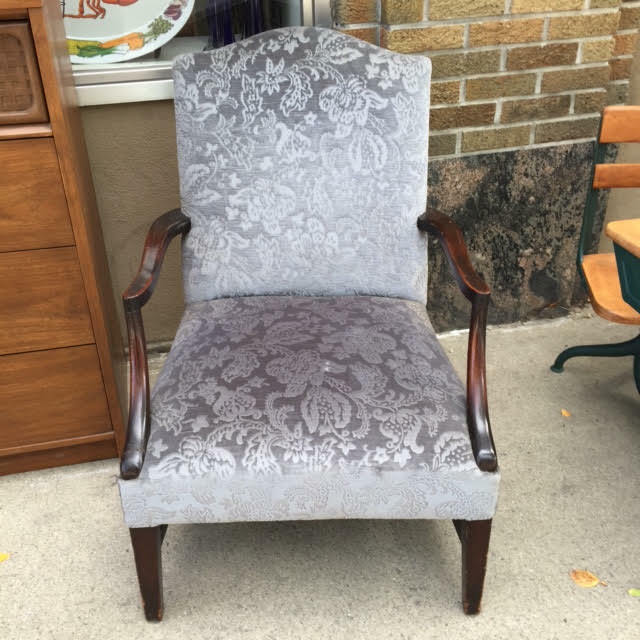 This entry was posted in Furniture - Primitive & Farmhouse, Primitive & Farmhouse Decor and tagged blue chair, farmhouse chair, upholstered chair, velveteen chair, vintage chair. Bookmark the permalink.